There was a time when pet parents never even thought of brushing their dog’s teeth and didn’t have to find the best dog toothpaste on the market; however, times have changed and veterinarians are now encouraging us to do daily dental care on our pooches. common mistakes most pet parents make when embarking on canine teeth brushing. Plus, we’ve found some of the best dog toothpaste on the market today. Let’s get tooth-it! 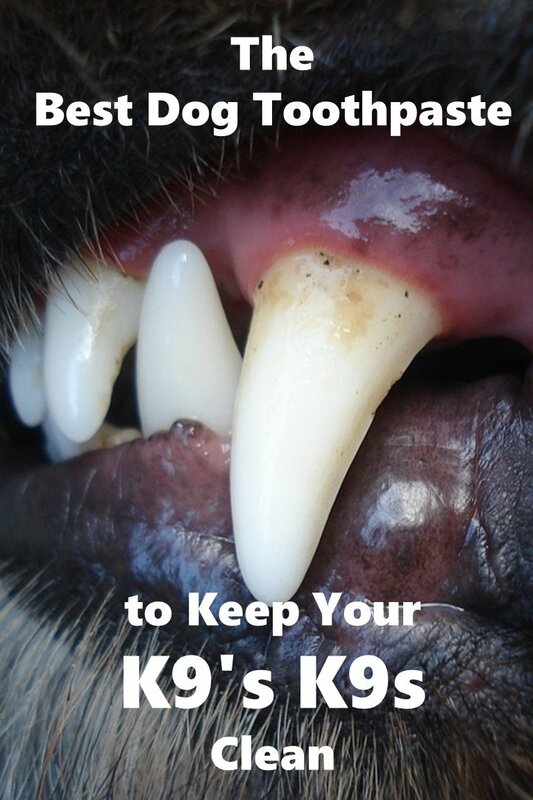 Just like people, dogs can suffer from certain oral issues. These can include gum disease, plaque buildup, bad breath, broken teeth and even infections. A daily routine of teeth brushing can help prevent many of these issues. 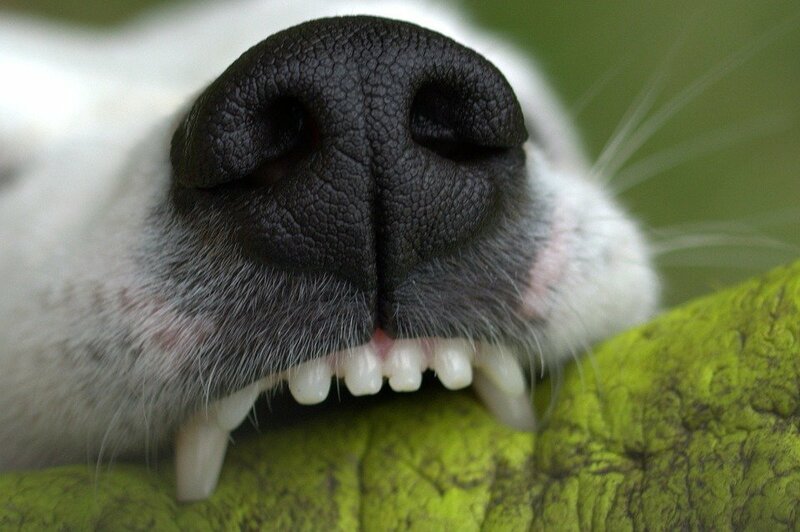 In fact, dogs can be showing signs of periodontal disease (gum disease) by the time they reach three years-of-age. This can put them at a higher risk of chronic kidney, heart and liver problems. Additionally, you may not know if your dog is having any pain related to poor oral health. Many dogs will continue to eat and drink normally even though their mouths are aching. It’s only when the problem has become worse, which could include abscesses and gum disease, that we as pet parents know something is wrong. Giving your dog the best oral care you can doesn’t have to be difficult. Along with getting the best dog toothpaste, we suggest the following tips to help you along the way. 1. Start with your dog as a Puppy. Like any other habit or training you want your dog to have, starting him out with teeth brushing as a pup is the best way. This not only gets your dog used to this daily task, but his oral care will benefit from the early start, too. However, that’s not to say older dog’s can’t adapt to teeth brushing, it just takes patience and practice. Stick to it. 2. Use Doggy Toothpaste. Human toothpaste is not recommended for dogs. It contains fluorides and detergents that are not healthy for a dog to swallow. Some brands of toothpaste also contain xylitol which can be toxic to dogs. In addition, doggy toothpaste comes in a variety of flavors (seafood, malt, beef, vanilla-mint, peanut butter and poultry) that makes it more appealing. 3. Use a Doggy Toothbrush. Human toothbrushes are too wide and the bristles are too hard to safely use in a dog’s mouth. For these reasons it’s best to choose a toothbrush made specifically for them. These can include power brushes, finger brushes (that fit over the top portion of your finger) and small-head toothbrushes with long handles. However, it’s not recommended to use the finger-style toothbrush in small dogs, as their mouth is usually too small to fit the thickness of the tool. If you need help determining the correct toothbrush for your canine companion, ask your vet for recommendations. 4. Start Off Slowly. Getting your pup used to having his teeth brushed is a process, so start off slowly and gently. Remember, it may take a couple of months before your dog likes (or at least tolerates) his daily dental care. To get there, follow these helpful tips. 5. Don’t Forget the Back Teeth. A lot of dental problems occur in the back, upper teeth of dogs, so be sure to get back there to keep your canine’s mouth healthy. You wouldn’t want to have that gritty feeling on the back of your teeth after a long brush and we’re sure your dog wouldn’t either, so do it right! 6. Make It Fun. Praise and rewards go a long way when trying to teach your dog any new habit. Vets recommend praising your dog before, during and after brushing his teeth. Once you’re finished, give him some extra play time or a teeth-friendly treat. It’s always good to know what not to do, as well as what to do. Here are three common mistakes pet parents make when em”bark”ing on doggy dental care. Hopefully, knowing these common dog parent mistakes will help you avoid them yourself. Now that we’ve covered the why, when and what-not’s of doggy teeth brushing, let’s take a look at the best dog toothpaste on the market today. Now that we know just how important good oral care is for our pets, make brushing your dog’s teeth a daily routine. Choose the toothpaste and brush that works best for your pet to make this task an enjoyable experience that helps keep your dog happy and healthy for many years to come. It may not make a difference in the short term, but over the long term it will be well worth it!